Ubisoft has officially announced Assassin’s Creed Ezio Collection, the much awaited most rumored pack that brings back the big protagonist to life. The developers have had some great days with the Prince of Persia series and Assassin’s Creed. Of late, the games have been dumbed down a lot but Ezio’s Collection comes from the golden era when titles used to be complete with amazing story, music and characters that you could invest yourself in. The information comes from an Ubisoft blog post that detailed the Assassin’s Creed Ezio’s Collection which includes Assassin’s Creed II, Brotherhood and the last episode featuring Ezio Revelations. It also includes DLCs from the games but doesn’t include multiplayer option. Hosting servers for such an old game could be a big issue on PS4 and Xbox One consoles that prompted Ubisoft to skip the features. With improved graphics designed for 1080p HD display at 30 frames per second or probably 60 FPS, the new collection is definitely worth a purchase. Apart from the three games, the bundle also includes the short film Embers in the bluray disc. There is a three-part feature that showcases Ezio’s story, named Assassin’s Creed Lineage. 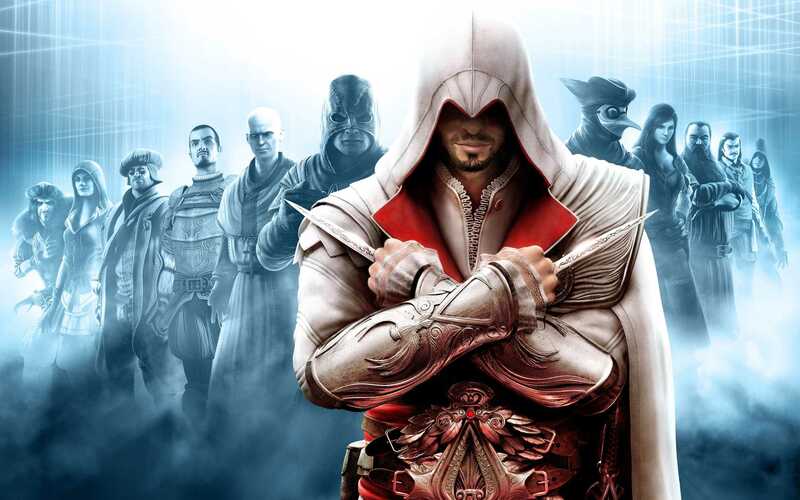 Ubisoft has released a dedicated trailer for the Assassin’s Creed Ezio Collection. The remastered version of the game will be available only on next generation consoles and there is no word on a PC version. PC Gamers always have the option to buy all the games together during a Steam Sale. There are plenty of mods and even the original version of the game can always be experienced in 1080p resolution unlike the ones being offered on the PS3 or the Xbox 360 consoles. Make sure you don’t miss the amazing trailer the publisher has released. For players who have had the chance to play the original games, this kindles a lot of memories with the most popular soundtrack – Ezio’s family. Even if you haven’t played the game yet, the trailer would convince you to go for it. It has all the right elements with some glimpses into the storyline. An Assassin’s Creed movie is also set to hit theaters by the end of this year. It might be the first of many and if the movie succeeds, there could be lots of other movies based on video games. Some popular picks include Halo, Gears of War, Uncharted and The Last of Us that could be turned into Hollywood flicks.